Starting end of the dessert buffet. 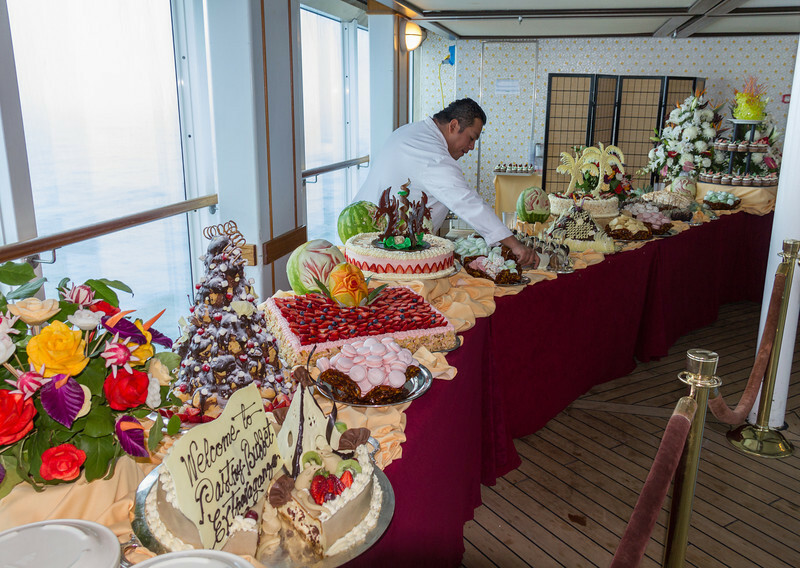 Everything you see is edible, nearly all fruits and sweets. It was FINE.